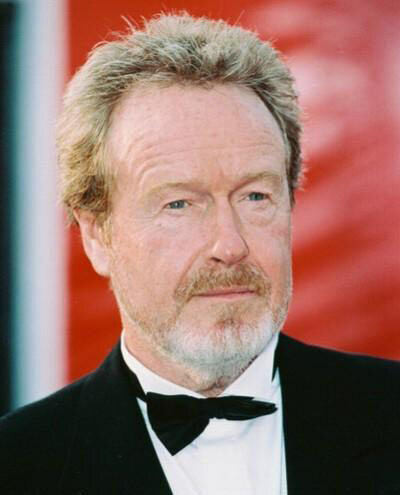 Oscar winners Ridley Scott (Blade Runner, Robin Hood) and Kevin MacDonald (The Last King of Scotland, State of Play) are teaming up with YouTube to ask aspiring filmmakers, and anyone that has a way with a camera, to join them in presenting a view of life across the world. On July 24, YouTube users are being asked to film a short clip that they consider to be worth passing on. The subject can range from love to fear, to absurd, as long as it is considered worthwhile. The best clips will then be sorted and edited into a documentary called Life in a Day that MacDonald will assemble, and Scott will produce. Once MacDonald and his team have weeded through the video clips to find the best and most worthwhile content from around the globe, the documentary will be edited for submission to Sundance in January. Of the clips chosen, the 20 deemed to be the most valuable will earn their creators a trip to the festival to be on hand for the documentary’s debut. The documentary will also appear the same day on YouTube, but further distribution will be up to Scott’s production company, Scott Free. The filmmakers are hoping for submissions from around the world to help create a true sense of life around the globe. MacDonald and Scott Free will work with Rick Smolan, CEO of Against All Odds, an organization that specializes in large-scale global projects. The group will then distribute cameras to people in remote areas of the world to make sure all corners of life are represented. 400 to 500 cameras will be distributed to at least 20 different countries to make that happen. Once the submissions have been uploaded, MacDonald will helm a team of bilingual multi-national editors who will help him weed through the clips to sort out the best from the rest. After the initial cuts have been made, MacDonald will take on the daunting task of selecting the clips deemed the best. Life in a Day is the brainchild of MacDonald, who came up with the idea after meeting with Scott and Scott Free. Scott will also be involved, but according to MacDonald, the Oscar nominated director of Gladiator and Black Hawk Down is more interested in the possibilities that the documentary might herald. “Ridley’s intrigued by the possibility of this as a way of making films — it’s something that can only happen in the Internet era,” MacDonald said. MacDonald is no stranger to documentaries. In 1999, he won an Oscar that he shared with Arthur Cohn for the documentary One Day in September,. “I just want something honest and intimate,” MacDonald said. “It could be utterly banal, as long as it has interest to the user,” the director said.